The Mildura region is renowned for its big skies, rich earth and welcoming locals. Experience respected wine and bountiful local produce that is chosen in the preparation of great food served up at quality restaurants and available at markets, eateries and cellar doors. Discover breathtaking natural beauty, Mediterranean climate and fascinating local histories, stay overnight in comfortable accommodation at pubs, resorts, golf clubs and historic hotels. All of this is located near the region’s life source – the wide, ceaselessly flowing Murray River. 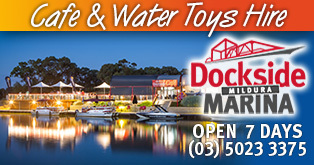 For more information visit Mildura Tourism, Visit Wentworth or the Discover Murray River website. 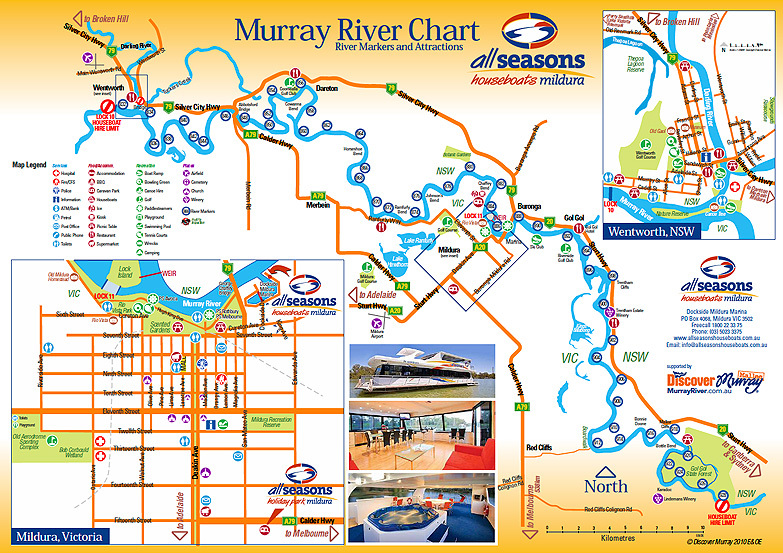 Download this Mildura, Wentworth and Red Cliffs pdf Murray River map.